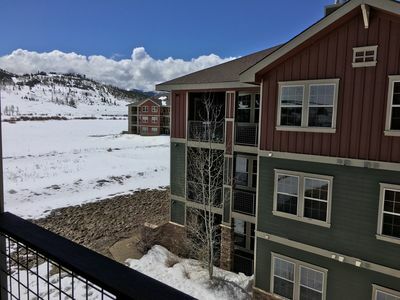 Cozy Grand Lake Condo w/Pool - 4 Mins. to Marina! 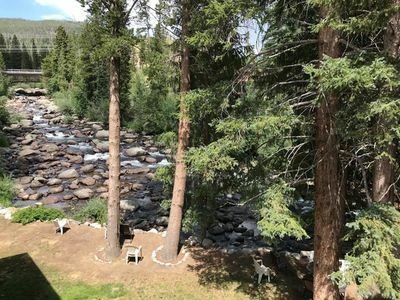 There's truly no better place to immerse yourself in the majestic Rocky Mountains than this vacation rental condo with sleeping arrangements for 6! 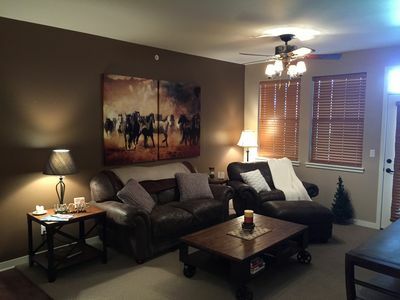 Ideally situated in the Soda Creek Ranch complex, this charming abode features 2 bedrooms, 2 bathrooms, and access to the community clubhouse. 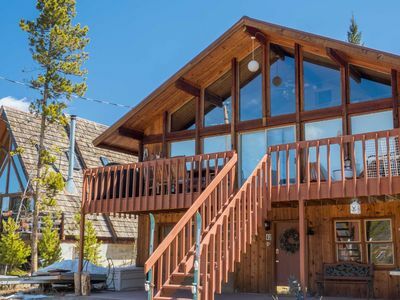 Bring your water toys along for an unforgettable day on Lake Granby, hike the surrounding trails, or take advantage of the outdoor pool in the summer to make the most of your Grand Lake getaway! 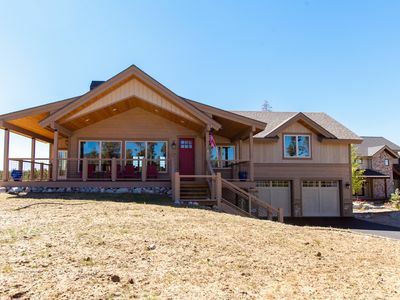 Cruise along the scenic roads of Grand Lake to discover your home-away-from-home boasting lofty ceilings and an open floor concept that will allow you to spend ample quality time with your loved ones! 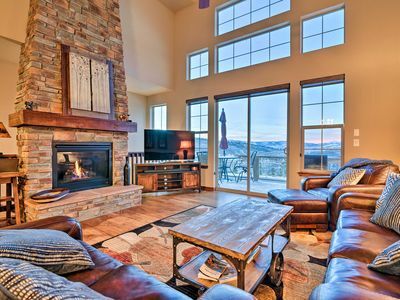 During downtime, kick back and relax in the living room while you watch the flat-screen cable TV and the gas fireplace warms the room. For a splash of fun, stroll over to the seasonal community pool just a short 5-minute walk away and bask under the soothing sun. 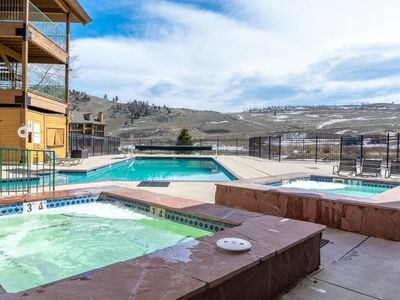 The property also has a year-round clubhouse, as well as an outdoor hot tub! Cooking endeavors await in the fully equipped kitchen! Prepare a divine meal using modern appliances before gathering around the 6-person table to enjoy. 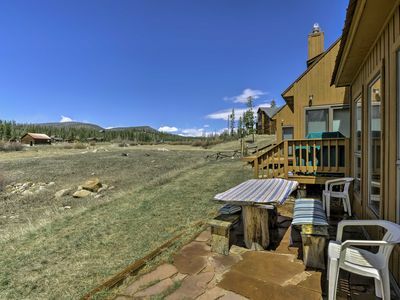 On warm days, utilize the gas grill on the deck and picnic table looking out to panoramic mountain views! 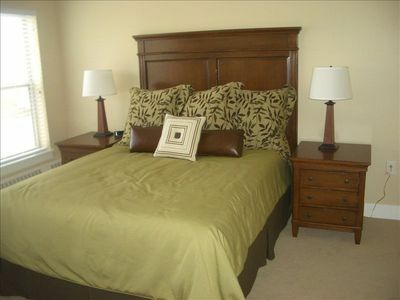 When you turn in for the night, retreat to the upstairs bedroom housing a plush queen bed and private access to a balcony! 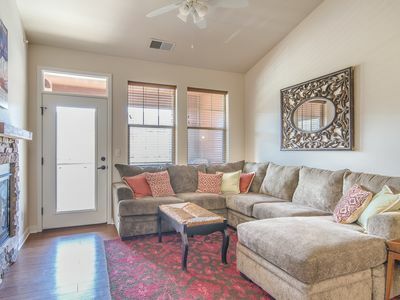 The second bedroom includes a queen bed while 2 twin beds fill the loft, where the kiddos can drift off to sleep while looking up at starry nights through the skylights. 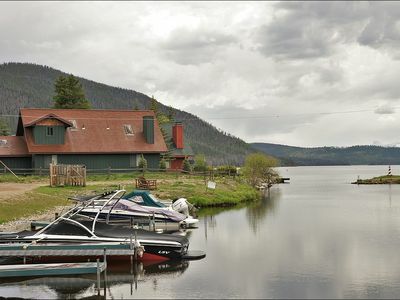 With the marina only 4 minutes away, you can easily access Lake Granby! Whether you're tubing, kayaking, or jet skiing, the mountains serve as the perfect backdrop that reflects off the glimmering alpine water. Also within minutes are Shadow Mountain Lake and Grand Lake! 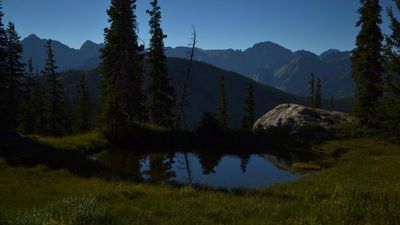 Hiking enthusiasts will love being only 20 minutes from the Grand Lake Entrance to Rocky Mountain National Park. 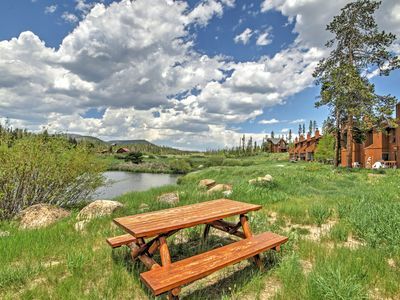 With trails, cascading falls, and fishing waters abound, the possibilities are endless. Don't forget to bring the camera along to snap shots of blooming wildflowers and the occasional moose! 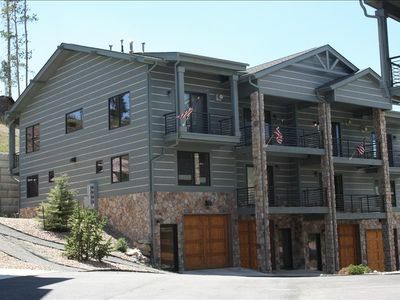 Closer to the property is downtown Grand Lake, offering water toy rentals, spas, and local shops! If you're visiting in the winter, be sure to visit the Grand Lake Nordic Center for some cross-country skiing, snowshoeing, and tubing! 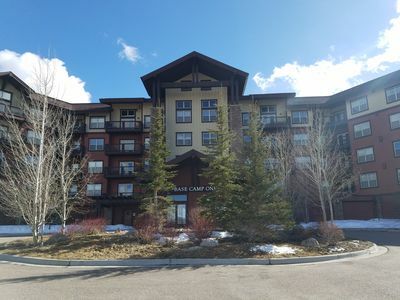 - Amenities include a fully equipped kitchen, flat-screen cable TV, gas fireplace, free WiFi, central heating, linens, towels, a furnished deck, private balcony, gas grill, parking for 2 vehicles, and more! 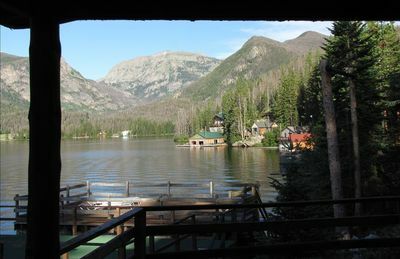 - Unbeatable Grand Lake Location - Minutes from Lake Granby, Rocky Mountain National Park, and downtown! 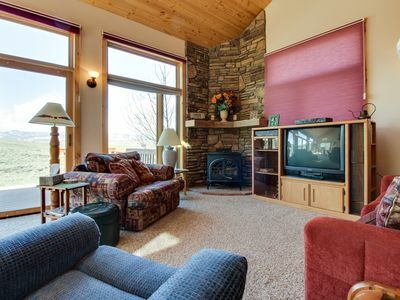 Secluded mountain getaway w/ sweeping views - outdoor adventures await close by! 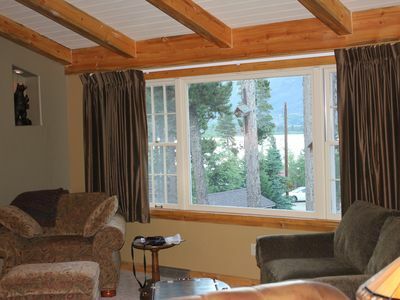 Grand Lake and Mountain Views ALL AROUND 360 degrees, Gas FIrepit & Bocci Court! 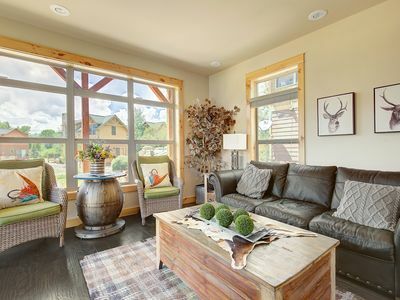 Brand New Mountain Home Getaway Sleeps 7! New Listing! 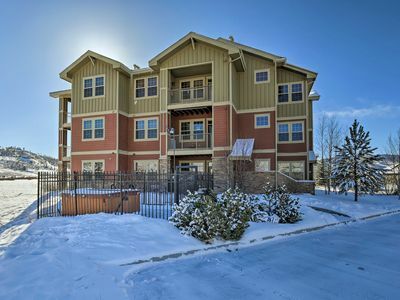 Large two story condo right on the river! In Town! Sleeps 8! NEW! 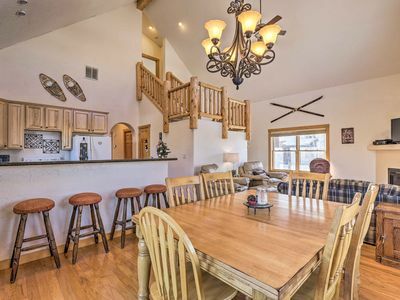 Ski-in/Ski-out Granby Ranch House w/ Hot Tub!